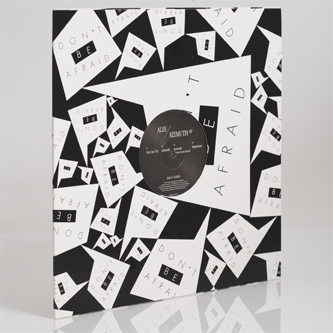 Semtek's Don't Be Afraid label starts 2013 in style with a cracking 2nd EP from Alis (the producer/singer formerly known as Subeena), backed with a smart D' Marc Cantu remix. 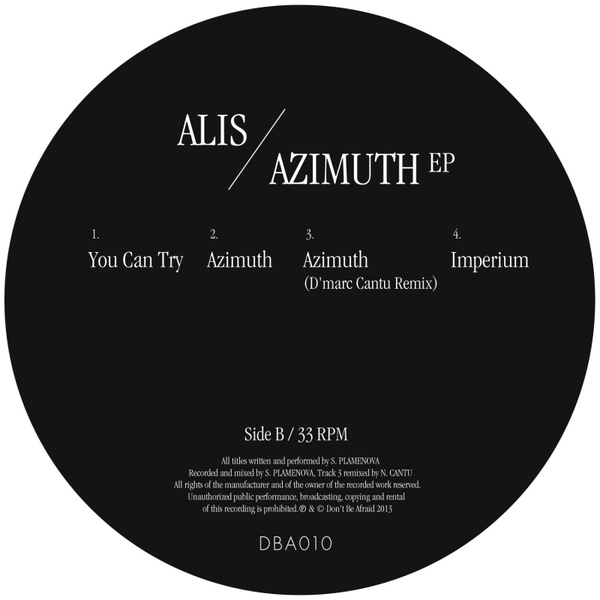 It's a more defined change of tack from her diverse 'Hybrids In The Attic' album, taking in the rugged yet dreamy chug of 'You Can Try' and a proper acid/EBM killer in 'Azimuth' on the A-side, plus the sub-heavy synth-pop/Italo of wheeze of 'Imperium' on the flip next to a drugged-up and murky D'Marc Cantu remix of the title tune, all bearing those distinctive vocals to subtly enduring, endearing effect. TIP!